1:43 Oxford Daimler DS420 Black Hearse UK OXDS002 NEW Mint in BOX FREE US Ship! 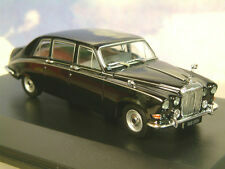 British Daimler Grey Black DS420 Limo OO Oxford Die-cast 76DS003 1:76 U.K. This page was last updated: 19-Apr 10:33. Number of bids and bid amounts may be slightly out of date. See each listing for international shipping options and costs.